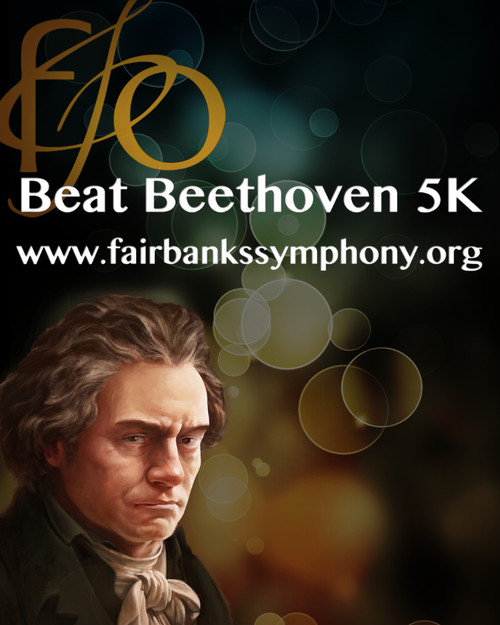 BEAT BEETHOVEN WITH THE FSO! April 13, 2019 @ 11:00AM! 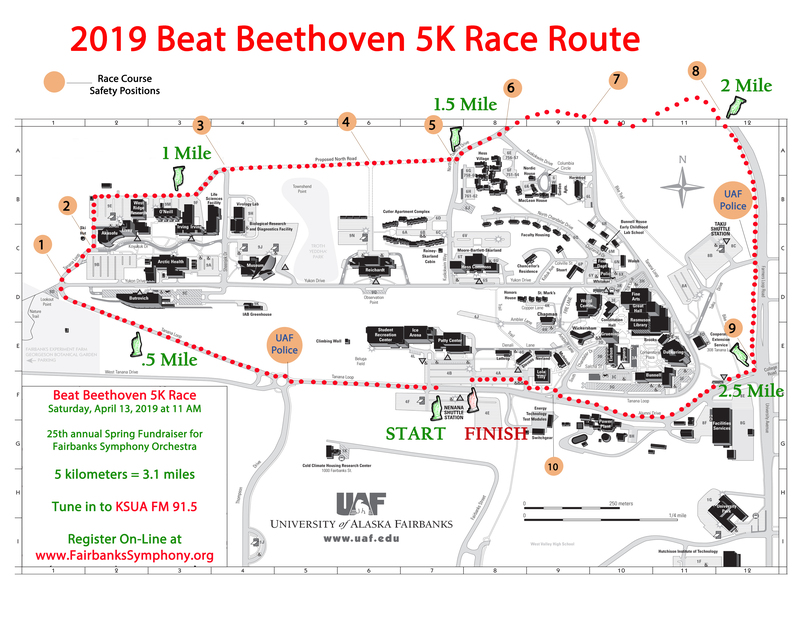 Participants who finish the 5K before the last note of Beethoven’s Fifth Symphony approximately (31 minutes long) will receive a voucher for free admission to any FSO concert performance with the exception of the Holiday Concert. THE RACE IS ON – RAIN OR SHINE!! Please see the course map! 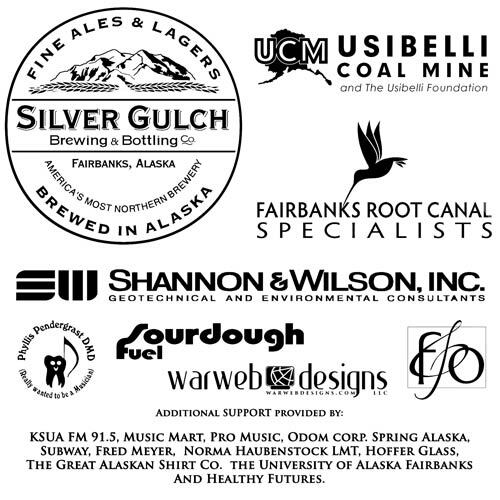 BIB PICK UP – APRIL 8, 2019 5 PM – 7 PM AT THE UAF PATTY CENTER. Early Bird Registration – $25 Jan 15, 2019 until Apr 8, 2019, 11:59 PM. Late Registration – $35 open from April 9, 2019 at 12:00 AM until April 12, 2019 11:59 PM. There are NO online registration fees and NO stroller fees! Due to the size of the race, we can no longer offer bib pick up in our offices. If you miss bib pick up on April 8, you may pick up your bib and shirt on race day at the Patty Center starting at 9:30AM. The race begins at 11 AM. You can register on the day of the race at the UAF Patty Center as early as 9:30 AM. Race begins at 11AM. Not a runner? VOLUNTEER! Call George at 474-5852 or email him at grydlinski@alaska.edu. The FSO is a non-profit organization. All registration sales are final.